On Wednesday 6 July at the Fin! 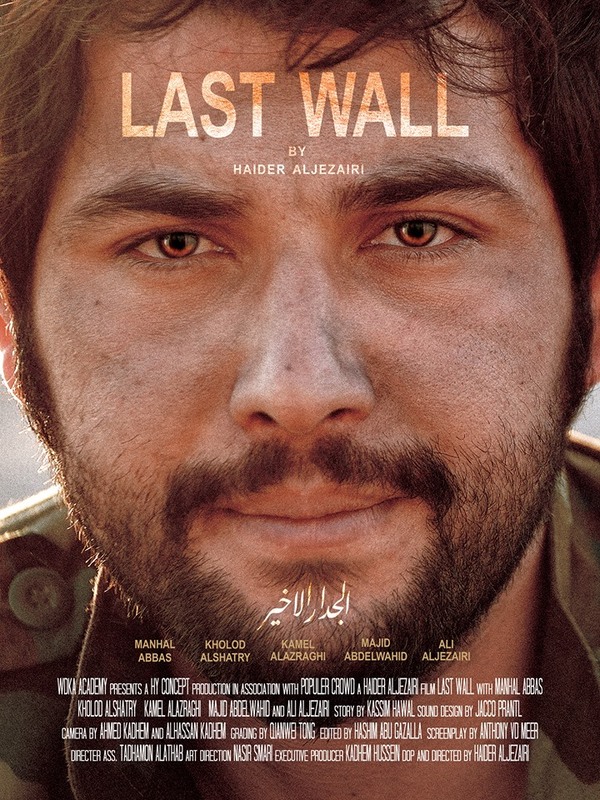 Filmfestival the wonderful film The Last Wall by Haider Aljezairi will screen at Lantarenvenster in Rotterdam. Haider approached me with his remarkable project at the beginning of this year. He was about to travel to Kuwait and Iraq to film a fictional film with a local crew and actors nearby a conflict zone. The film is about local villagers having to leave their homes and families to fight against ISIS. The script is based on a true story and is filmed at the locations were it took place with a crew and actors that have experienced events like the one the film is based on firsthand. When he first told me the details I was very surprised by the sheer ambition and adventure of his plan. To be honest, I was even a bit skeptical if he could pull it off. At the same time I was so curious about the material he was going to shoot, that I immediately promised to help him out with the sounddesign of his project. The result is this wonderful short film that has combines a local setting and atmosphere with a universal story about the basic human need of shelter. Haider Aljezairi has a remarkable life story himself. He lived in a lot of different places in the Middle East and used to be a war correspondent during the last Iraqi war. In the Netherlands he started a new life, learned to speak Dutch flawlessly within a couple of years and studied movie direction at the Willem de Kooning Academy. He is undeniably a great talent and I am very curious to see what his next project is going to be.